So now we’ve come to the last part of this series. 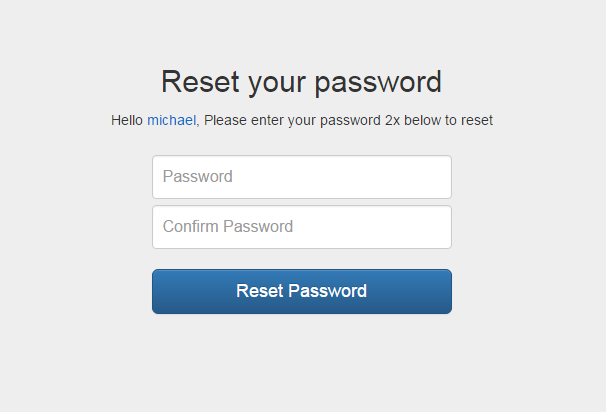 We need a way to let users back in when they forget their passwords. So we’re going to need a form, a mechanism to notify them with a unique token, as well as another form to actually do the resetting of the password. Plenty of going on here, so let’s start coding. Update 9/5/2016: Updated flaw in token creation and token checking for better security. Thanks to comment by Mohammad and his findings. Update 7/20/2016: Added index.php file to the views directory. This is the view that is being used once a successful login is processed. The action opens up the same way we have with our other forms. We have our validation rules for our “email” input field. 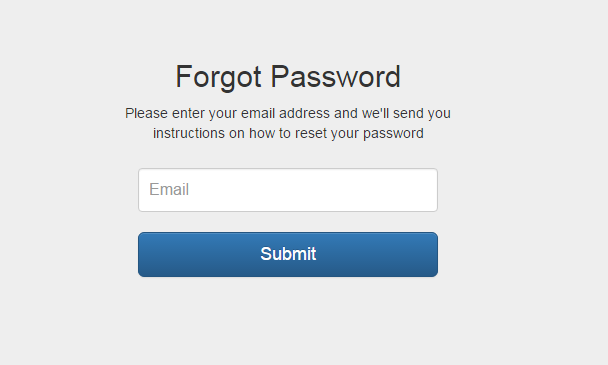 In our form, all we’re really asking for our user is to enter their password. So we just need to run a couple of rules against this value: valid email and required. Once our validation passes, we also clean the data with our xss_clean() method which is loaded automatically. To learn more about the Security Helper click here. Now we check if the email submitted exists in our database through our Model method: getUserInfoByEmail(). So add the code below to our Model (User_Model.php). This method returns the record on success and false on fail. So back in our “forgot” action, we simply set a couple of error messages when we receive a false from our model, or proceed with the token creation “insertToken()” on success. Note that we are reusing this method from our previous action when creating a new user. The code for our view is below. Just some messaging our form and input fields. Notice we’re using CodeIgniter’s Form class. So now we have a unique link that we’ve sent to our forgetful user. Once they click on this link – they better have a page to land on, with a way to reset their password. So let’s build that now. Finally, we do some validation and sanitation on the passwords entered. Once passed, we continue to encrypt our user’s password through the create_hash() method. Remember this method is from our Password class that we’ve also used when creating new users. Then we update the user’s password on success. So there you have our basic user registration system, explained in detail. Remember that this is mainly to get a grasp on what goes on behind the scenes of such a system as well as learning the ropes of MVC. It is also important to know that this is not production code. There are plenty of improvements to be made. But this should be enough to get you started. these tutorial is hard, try putting the extensions of the files and more preferably raw codes than what you call codeigniter, when teaching. proper naming of the files also, the teaching is scattered for me though. can anyone give me information about content-base recommendation algorithm ? This is a really great tutorial. I have one question – After I login through the login page, and then hit the home url, my session goes away. I have to again put in the login credentials. How do I ensure that the logged in session stays throughout the site ? In session, you can make a key “is_logged_in” and set it to “true”. This should remain persistent throughout. Hello, i used the exact same code and when I click on send email no email is send which is weird. Do you know what I could do to fix it? The code is only supposed to output the message in the browser. Assuming you don’t have mail service setup. You can take that message and send it via mail(). All these pages are included in the GIT repo. Amazing tutorial! Just one question. Is it possible to make the $url a route instead of using the controller and function name in the URL? Thanks for the great code. It has been a major help! I have now added another view that only logged in users should be able to see. How would you recommend checking that a user is logged in before making a page visible? At the moment it’s possible just to type the name of the view in the url, and it will be displayed. you can create a function “isloggedin()” and add it to your controllers (maybe in the construct) – So it runs each time. So when you load your page, it should check it. and in above link after index.php am not getting a slash(/), will that matter? I am getting an error..
Did you create a redirect function? Thank you so much… It is working nicely..
With this structure one can reset someone else’s password using his own token :|. I may have overlooked this. Can you explain your findings? @Mohammad – updated code to fix this issue: https://github.com/michaelsoriano/user-registration-codeigniter/commit/7812ad2e94b6bf2f232476fc108275dbe6a20d4a. With this structure, anyone can use email verification token for resetting password in one day. I think this can be treated as a bug. If you look in Part 2, I didn’t include a stronger token check (such as a shorter time frame for the token to be valid). I’m leaving that up to you. You can definitely make the code better – submit a merge request in Git. Sounds like a configuration. Make sure your routes are set up correctly. Create an issue in my Github page so I can track. As Michael mentioned, we are using Password Class we need to add it to our libraries directory. If anybody getting same issue, you can grab Password.php from github(https://github.com/michaelsoriano/user-registration-codeigniter/tree/master/application/libraries) too. Yes I did forget to add that. But its there now. Thanks for the spotting the errors. Will update the post. Anybody facing Call to undefined method Auth_model::getUserInfo() can copy method from above github hosted file. Thanks for such a nice tutorial. I appreciate your efforts. I believe you forgot to mention getUserInfo() method in tutorial but its there in the github(https://github.com/michaelsoriano/user-registration-codeigniter) package. Anybody facing same issue can copy or create getUserInfo() method from User_model.php hosted at github (https://github.com/michaelsoriano/user-registration-codeigniter). Upon pressing Complete on the password/password confirm page, I get the error: “Unable to load the requested file: index.php”. Any idea what’s going wrong? thanks a lot , it is working nicely , i am new to CI , and this tutorial helping me in learning this , but forget password is not working for me , ??? You can stop the code by echoing out every step of the way. I would start when the page loads after the link is clicked. Simply echo out what is being processed. Hey, could you give me a guide on how can I modify this to actually send tokens to email adress ? After I have logged in successfully, I am getting the following error. Michael, thank you for the full tutorial, well made and very usefull, I went up a step more understanding MVC and CI.